We follow to rule “sequence of small improvements is prefered” and glad to announce the third update of IBProvider in current year – v3.38. In new release we resolved the problems with notifications of asynchronous loader of data, which were detected under stress-test. We made the next step for improving of our OLEDB/ADODB/.NET data provider for Firebird and InterBase. And, of course, new release has passed through load and functional tests. So it is ready for usage in production environment without any unpleasant surprises. 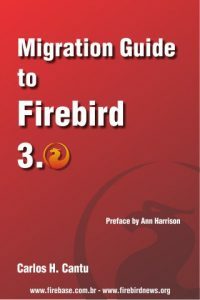 New version of “Native OLE DB Provider for Firebird and InterBase” is available for download and usage. The reorganization of the provider’s codebase. Fixed a critical bug in the “libtommath” library (function mp_div). Changed the structure of the provider’s DLL names. We have two pieces of news for IBProvider and Firebird users. Both are good. The release of «IBProvider Professional Edition» v3.34 with its own Firebird v3 client is already available for download. We upgraded the «Free IBProvider» and added a subsystem to it with its own Firebird client. Now all IBProvider editions can work directly with all released Firebird versions from v0.9 to v3.0! We hope this release will bring new ideas to your work. Since you already have made a pause in your work and came here, we are offering to you look at the short review of testing Firebird through IBProvider. Six years after the release of IBProvider v3.0 in August 2010, we are proud to introduce version v3.31. This is the 72th update of the third version! Interaction with server has been optimized. The problem with savepoints and InterBase has been solved.